Dear Readers, it is time for something entirely new. 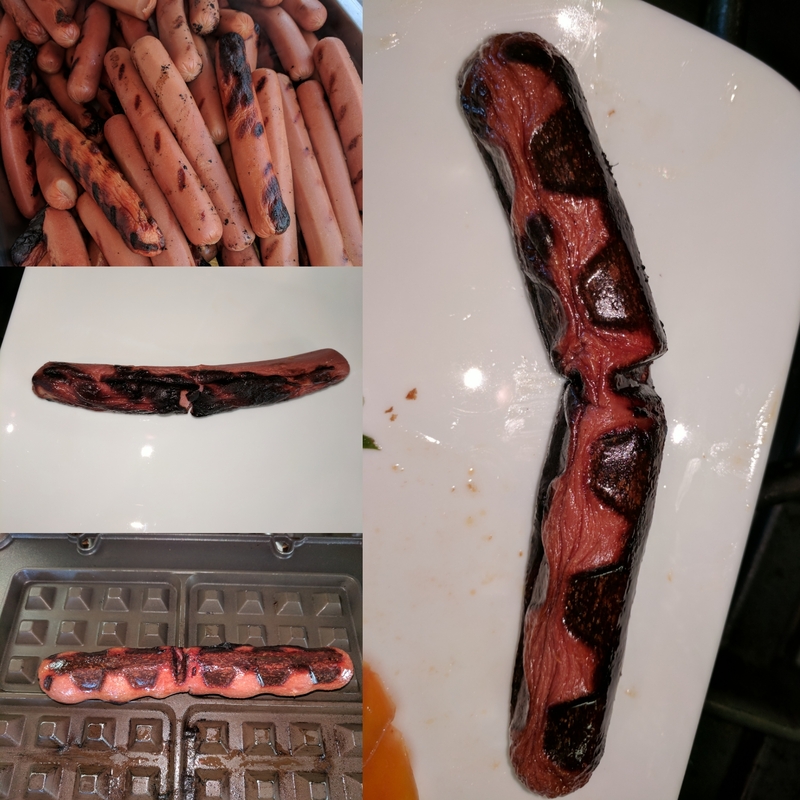 Until now, I've never written about any of my own culinary creations. You've read about chain restaurants and takeout on Mondays, travel experiences on Tuesdays, real restaurants on Wednesdays, bakeries and ice cream on Thursdays, snack foods on Fridays, and chocolates on Sundays. I've covered a lot of material. But, you might be wondering, what do I eat the rest of the time (besides all the incredible food at work all week long, of course)? Now, I could actually subsist all weekend on just the snack products I get sent to review, but I worry about the long term consequences of that kind of "diet". I do indeed eat some "real" food on weekends too. And generally ... it is in the form of leftovers. But, not just any leftovers, I transform leftovers. 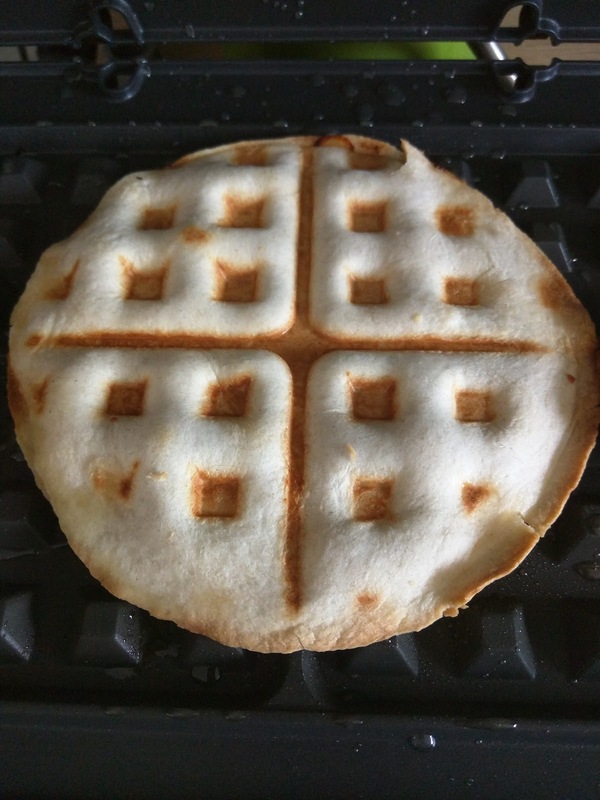 Into waffles. Let me back up a little. As you've heard me mention many times, I'm incredibly fortunate to work somewhere that provides me amazing food all week long, not only for breakfast and lunch, but also for dinner. Dinner is catered for my group, and we often have leftovers that will be thrown out if they go unfinished. So, particularly on Fridays, when we always have comfort foods, if something is delicious and seems like it will reheat well, I bring leftovers home with me (only once I'm sure everyone else has gotten their fill!). But of course, I'm still a snob, and I don't really want dried out or soggy leftovers. And don't get me started on microwaves. Besides making popcorn, a microwave has no place in my life. So what do I do? 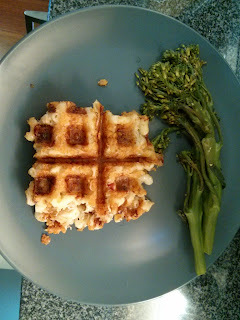 I waffle my leftovers. Yes, you read that right. I waffle ... anything and everything. 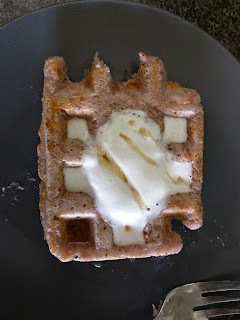 My waffling obsession began nearly two years ago, and I haven't looked back since. No, I don't incorporate ingredients from my leftovers into classic waffle batter. I literally waffle the leftovers themselves. Sometimes I have to crust them, but besides that, I do very little. Sometimes, my endeavors crazy successful, and I've found items that I absolutely can't imagine reheating in any other way (like pizza!). 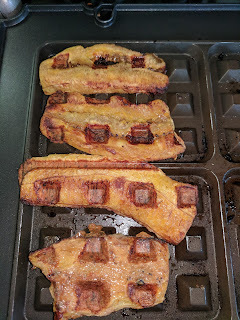 Other times, I wind up with something that lacks all structural integrity and I can't extract it from the waffle iron (doh! You have to crust mac and cheese before you waffle it!). 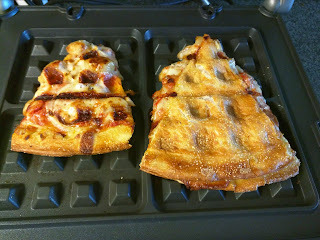 Or, worse, I've had my share of burnt messes, resulting in nothing salvageable to eat (oops, 400 degrees is too hot!). But always, no matter the results, I have fun with it. Obsessed? A bit. But, I promise, if you do it once, you will be too. So now, dear readers, I share that fun with you. Starting next week, Wednesdays will be devoted to waffling. Waffling Wednesdays. I'll link each review from this master list below. I promise you, there are some great winners in here. 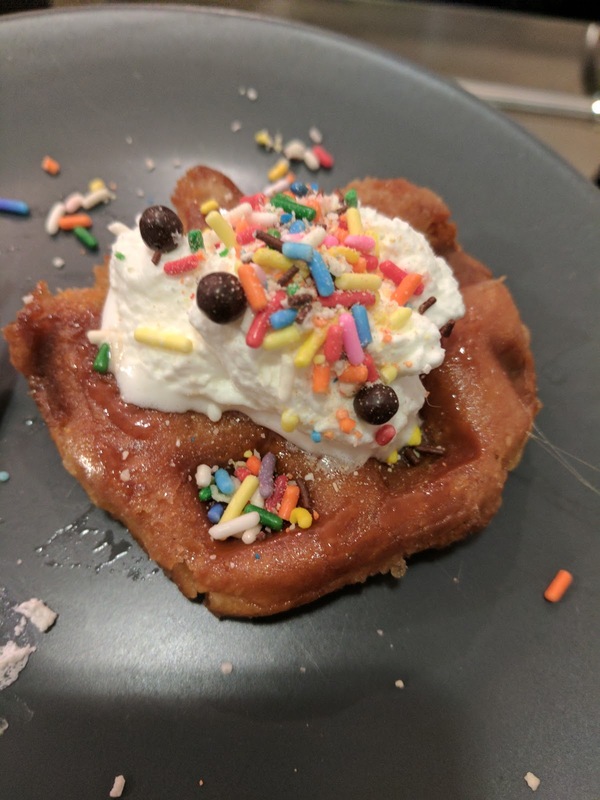 Waffled Leftover Glazed Donut Sundae. Although, uh, they are even better if you panini them instead! Waffled Leftover Mac & Cheese. 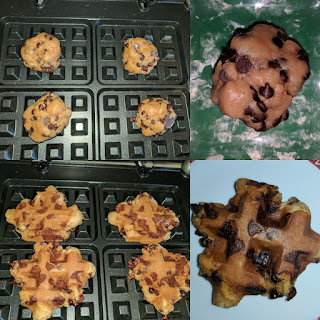 Waffled Chocolate Chip Cookie Dough.